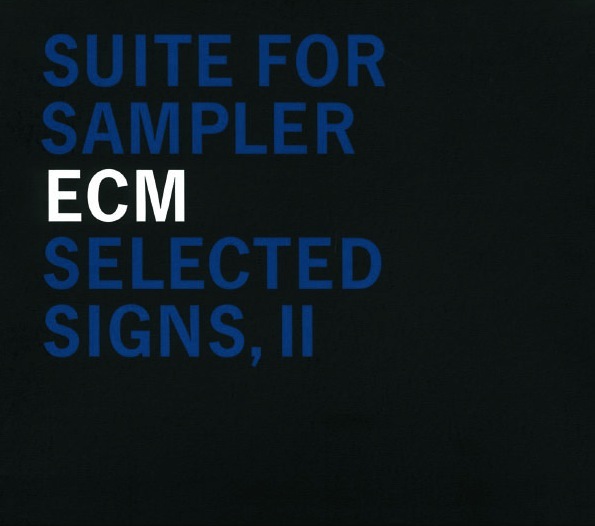 This second ECM anthology was released in the spring of 2000, three years after the first, and shows the broadening of the label’s ocean in that short yet productive span. This album’s predecessor sustained itself on breath, featuring as it did a generous helping of Tomasz Stanko, and here too we encounter the clarinet of Gianluigi Trovesi and accordion of Gianni Coscia in the title track from from In cerca di cibo, which opens new contexts still. The tune was originally composed by Fiorenzo Carpi for a 1971 TV mini-series about Pinocchio, and perhaps one can read the stirrings of life in dormant wood passing over Trovesi’s reed. A leafy introduction from pianist Bobo Stenson then draws us into the forested “Polska of Despair (I),” off his trio album Serenity. As bassist Anders Jormin and drummer Jon Christensen fall into frame, the evolution of ECM’s sound practice discloses a yearning for space in jazz structures. The distance applied to Christensen’s drums is especially evident against the foregrounded cymbals and makes for effective contrast within a single instrument. “Vilderness 2” significantly changes up the palette with Nils Petter Molvær’s electronics-heavy assembly, flowing into a blinding sun with every mechanism shining. The enhancements of guitarist Eivind Aarset add crosswind to the flight, while drum ‘n’ bass thermals puff their sporadic dragons into being. This one is off Molvær’s second ECM leader date, Solid Ether, the title of which produces as much as it describes. Greek pianist Vassilis Tsabropoulos, a classically trained musician turned jazz architect, made an intensely melodic splash with Achirana, on which he debuted a trio with bassist Arild Andersen and drummer John Marshall. The smoothness of his improvising on the selected sign “Mystic,” which demonstrates the ECM ethos of melody having a life of its own, turns the program in yet another direction. And just when we are about to slip along an atmospheric slope into misty uncertainty, Trovesi and Coscia bring us back to where we started, extolling the virtues of “Django,” by jazz pianist John Lewis. It’s a subdued romp, but one of assertive whimsy. Epigraphs was the second duo album from pianist Ketil Bjørnstad and cellist David Darling, and from it we encounter a fresh pairing of tracks. The aching “Upland” carries the flow of this compilation even deeper into the rock, while “Song for TKJD” drifts along the currents of Darling’s electric cello and Bjørnstad’s poetic commentary. Lest we get too attached to reverie, the first two movements of Heiner Goebbels’s Suite for Sampler and Orchestra (from the album Surrogate Cities) fragments all expectation with an electro-acoustic blend of cantorial sampling and string swells that recalls John Zorn’s Kristallnacht, ending this album with a reminder that beauty sometimes comes at the price of senseless destruction, and vice versa.